Andriy was born in the city of Smila in Cherkasy region. Later, his family moved to the city of Fastiv in Kyiv region. 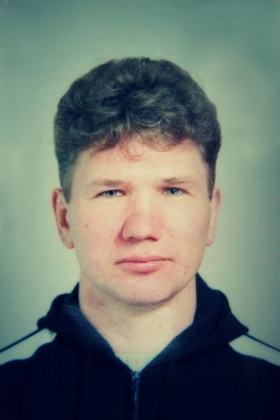 Andriy served in the army. Worked as an electric technician for various companies in Fastiv. His hobby was free style wrestling. Since 2000, Andriy ran his own business. Public leader, participant of the Orange Revolution 2004, Tax Maidan 2010. Member of the 7th self-defense group at Maidan. Killed by a sniper. Survived by an elderly mother, a wife and two sons.